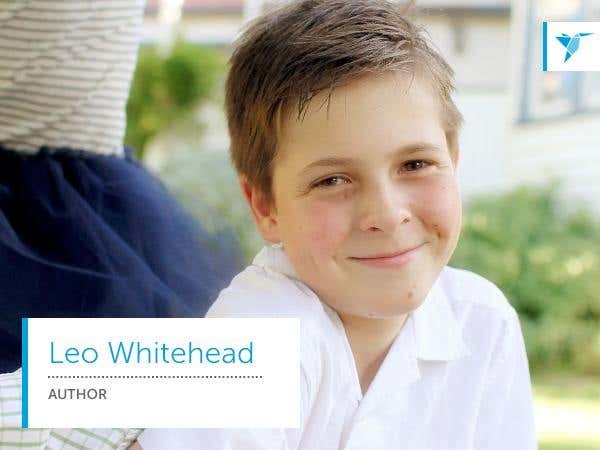 Twelve-year-old Leo Whitehead wanted to bake a scrumptious chocolate cake for a mothers’ day surprise. However, he was afraid to do it because he was inept in the kitchen and his mom probably wouldn’t even let him try. With a pen instead of a whisk in hand, Leo turned the whole baking ordeal into a short story. The result impressed his parents Neill and Bernadette, so much so that they decided to publish the story. The couple decided to search for a publisher but thought of hiring an illustrator first. Without pictures, the superb story would seem bland, especially since it was targeted to kids around Leo’s age. “We wanted to recognize his achievement. Writing something without being prompted is such as great thing to do. But for a kid’s non-commercial writing hobby, it’s not feasible to get an Australian artist to do commissioned work,” Neill said. He turned to Freelancer.com because it wasn’t only more economical, but it also allowed him to view the work of several artists to assess the style that would suit Leo’s story. “We decided to give it a go on the illustrator to surprise Leo. It didn’t cost much to try,” he said. The outcome was a full illustration of Leo’s book entitled “The Cake of Doom” where the reader can choose between two actions with corresponding results – either the reader progresses through the story or suffers a consequence. Leo got the inspiration on this type of story-telling in the series “Goosebumps – Choose your Own Ending” he read years ago. “The Cake of Doom” has been available on sale for a couple of months now on iBooks, Google Play, Amazon Kindle, and Kobo. Leo decided to donate all the profits of his book to a charity that will benefit a new school in East Timor. “What can I say – he is just a great kid. We’re very proud of him,” Neill said. Are you looking for freelancers who can illustrate the cover of your book? Get bids in minutes by posting a project, or picking from a pool of illustrators. Are you’re an illustrator looking to design some covers? Sign up now!